Home Technology Micromax Vdeo 4 and Vdeo 3 listed on the company’s website. Micromax Vdeo 4 and Vdeo 3 listed on the company’s website. Micromax has recently launched Vdeo 2 smartphone at Rs.4990. The phone is a successor of Vdeo 1 smartphone launched last year. Now, the company is up another couple of budget smartphones in the series. Vdeo 3 and Vdeo 4 have been listed on the official site. Interestingly, these smartphones come with pre-loaded Google Duo video calling app and Jio SIM card. Presently, we have more info about the Micromax Vdeo 4 smartphone. Discussing Micromax Vdeo 4 specs, it features a 5-inch HD IPS display with 1280 x 720-pixel resolution. The display is protected by a Corning Gorilla Glass on the top. The device is powered by a 1.1 GHz Qualcomm Snapdragon 210 (MSM8909) quad-core processor paired with 1GB of RAM and Adreno 304 GPU. 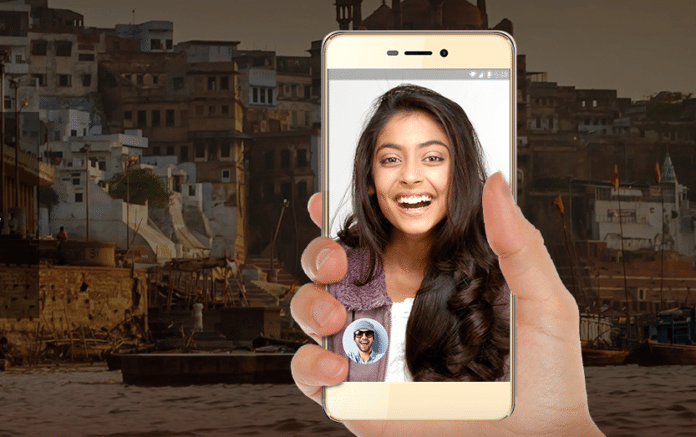 On camera department, Micromax Vdeo 4 features an 8MP rear-facing camera with LED flash. Another 2 MP camera is provided for selfies. The phone is available in dual SIM option, and the dual SIM variant supports 4G VoLTE connectivity. Apart from this, other connectivity options in Micromax Vdeo 4 include like WiFi 802.11 b/g/n, GPS, Bluetooth 4.0, A-GPS and other sensor range. The device sports 8GB internal storage and can be extended maximum up to 32GB through the microSD card slot. Micromax Vdeo 4 runs on Android 6.0 Marshmallow out of the box and it might not get Android Nougat update. A 4000mAh battery powers the handset which is great concerning the budget price range.